This leaflet has been produced to give you advice about a condition known as lymphoedema. It can be used in conjunction with the information you will already have been given by your Lymphoedema Nurse Specialist. 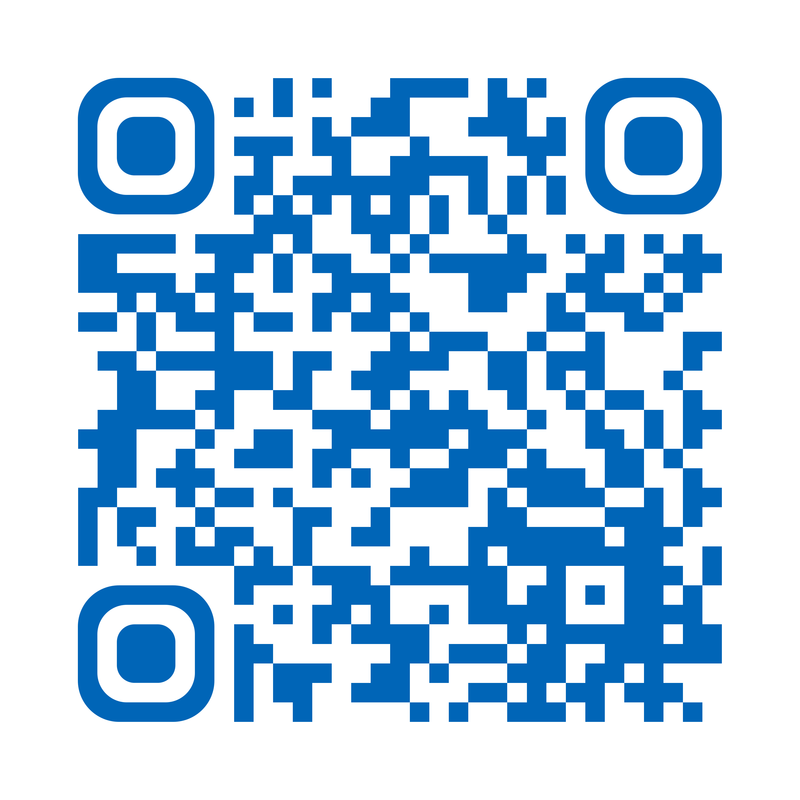 The leaflet will help you manage your lymphoedema following your initial assessment. Most of your questions should have been answered at your initial assessment; if, however, after reading this leaflet, you have any concerns or require further explanation please contact your Lymphoedema Nurse Specialist. Lymphoedema is a collection of lymphatic fluid (clear fluid that circulates around the body tissues) that builds up in the tissues below the skin and causes swelling to the affected area. It will occur when the drainage routes of lymphatic fluid become blocked or damaged due to cancer or its treatments e.g. surgery, radiotherapy, tumour and trauma. Although lymphoedema cannot be cured, your individual management programme, as discussed and agreed with your Lymphoedema Nurse Specialist, can help to control and reduce your lymphoedema. 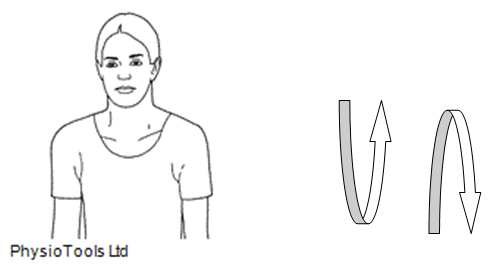 Lymphoedema of the face, neck and head is usually managed with Manual/Medical Lymphatic Drainage (MLD) and Simple Lymphatic Drainage (SLD). Occasionally low pressure compression garments may be used. Inspect your skin daily, looking for signs of broken areas, redness and swelling. Treat small cuts and grazes promptly by cleaning well and applying antiseptic. If the area becomes hot, red and more swollen, notify your GP as soon as possible. Protect your skin over the face and neck from sunburn. Use an electric razor when shaving. Do not wear restrictive clothing around the neck area. Patients who have had radiotherapy may develop redness of the skin because of their treatment. By 6 – 8 weeks following your radiotherapy there should be skin healing/repair. If your skin is still red and hot you should contact your Head/Neck Nurse Specialist for advice on telephone number (01482) 461085. People with lymphoedema have an increased risk of developing an infection due to their impaired lymphatic system. One of the most common infections is called cellulitis, which can affect the area of your swelling. It is important to know the signs of infection and to get it treated as soon as possible. You will need to see your GP immediately to assess if antibiotics are required. Please inform your Lymphoedema Nurse Specialist after you have seen your GP. Repeated attacks of cellulitis will cause further damage to the lymphatics and may result in an increase of swelling. It is important to try to reduce the risk of cellulitis by taking very good care of your skin. 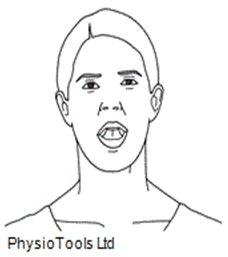 The special movements you carry out will have the following effects. Exercises will help to drain the fluid out of the swollen area. The muscles squeeze and relax as they work, which in turn helps to pump the fluid away. The exercises can be done either sitting down or standing. 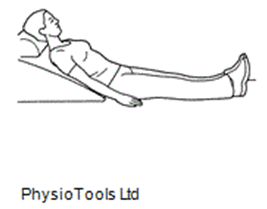 If the exercises cause you pain or dizziness, discontinue until you have contacted your Lymphoedema Nurse Specialist. If you have cellulitis you should rest until your infection has resolved. 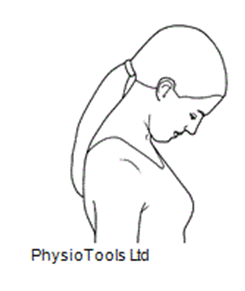 Exercises can be carried out either sitting or standing and each exercise should be repeated 5 times. 2. Shrug shoulders up and down. Repeat 5 times. Rotate shoulders in circles forwards and backwards. 4. 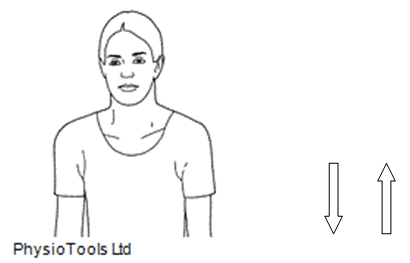 Facing forward, gently turn head to look over left shoulder, return to the centre before turning to look over right shoulder. 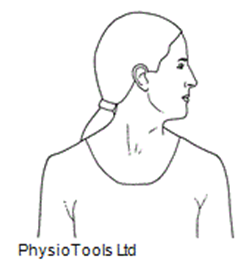 Look downwards placing chin on chest and then gently stretch chin upwards. 6. When in bed sleep on at least 2 pillows. You will be advised by your Lymphoedema Nurse when to apply/remove your compression garment. It should give the feeling of support and comfort. Should your compression garment cause an increase in swelling/pain then remove it immediately. Ensure there are no creases or wrinkles since this can rub on the skin and may cause damage to the tissues. The garment should not be too tight. It should feel firm and supportive. Ensure the garment is not too loose or baggy; otherwise it will not do its job. If you have an episode of cellulitis/infection, please remove your garment and contact your Lymphoedema Nurse Specialist. Wash the garment as per manufacturer’s instructions. Do not tumble dry unless advised to do so; dry away from direct heat. Garments should be replaced at least every 4 – 6 months as per the manufacturer’s guidelines. Manual/Medical Lymphatic Drainage (MLD) is performed by your Lymphoedema Nurse Specialist. You may be offered a course of treatment which will involve attending the Lymphoedema Clinic. A course of treatment may last for 2 – 3 weeks. It involves treating unaffected lymph nodes using very gentle pressure and slow, rhythmical movements. This helps to soften tissues and reduce swelling. MLD cannot be used if you have an infection (cellulitis) over the swollen area or if you have certain other conditions e.g. heart problems.